A LOVELY SETTING FOR THIS WELL DESIGNED and Lovingly Maintained 3BR/2BA RANCH with 2 Car Garage! ESTABLISHED DESIRABLE Neighborhood in Flowery Branch, EXTRA FEATURES BUYERS WILL LOVE - Laminate Wood flooring IN Living room AND Kitchen - Freshly Painted, New HVAC, Upgraded Windows, New Carpet in Bedrooms, Lots of cabinets, Breakfast Area, Huge Sunroom which adds extra living space and sq ft - A truly Fabulous Level Backyard with Work Shed and Additional Parking with carport addition. 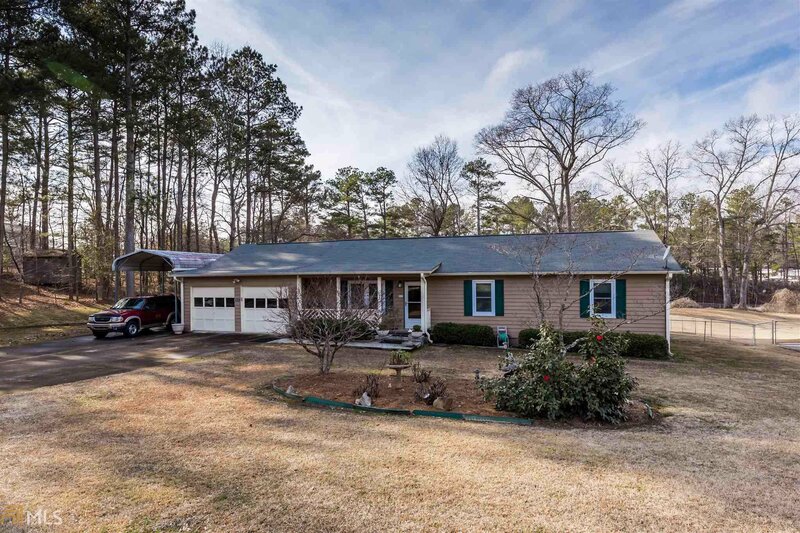 This home is SUPER CONVENIENT TO I-985 Exit 8 or 12.